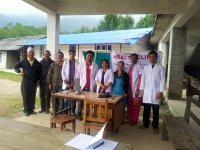 A team of volunteer healthcare perfessionals led by Ranjit Khatri was deployed to treat victims of earthquake in Ramechhap and Solukhumbu districts partnering with local hospitals. Delivery of medicine and foods was very challenging task. The monsoon rains and winds made it more dangerous to travel to these areas, so porters were utilized to bypass roads that are washed out. 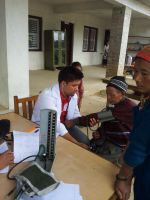 The NRHEP team set up mobile clinics with tents and distributed medicine, food, and water purification equipment and provided medical care to local who were suffered. 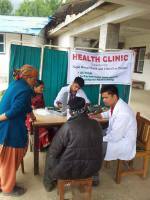 NRHEP has provided care for the large percentage of women suffering from a prolapsed uterus, whose problem is being exacerbated through living in tents and in public spaces after their houses collapsed. Public health education stressing importance of breast feeding, when possible, and ways to sterilize cooking and purify water and personal hygiene to minimize risk of sickness and epidemics were taught as well. More than 330 people were benefited from this program. 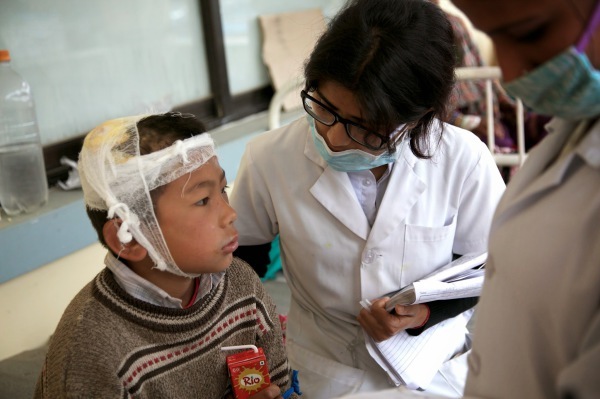 We are working with ACTION- Americans Citizens Together in Operation Nepal. 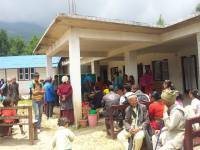 ACTION has provided fund to support women and children in Nepal. Email: Charmaine Coimbra@ cmcoim@msn.com or call 805-927-3357 for more information.